1.Heat oil in the pan. 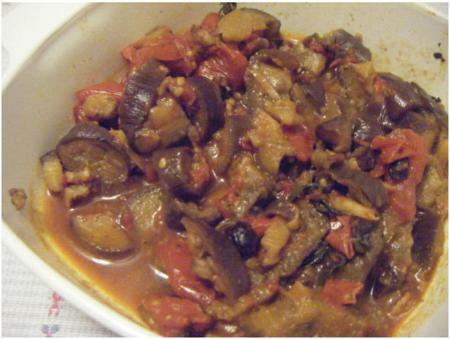 Sauté black soy beans and ginger for a few minutes then add eggplant cubes and cook for 4 to 5 minutes. Add tomatoes cubes, salt, sugar, and water. Cover the lid and simmer for 10 minutes. 2.Sprinkle the dish with Thai basil leaves before serving.